This addon adds to the Minecraft Pocket Edition 0.12.X a lot of new furniture, which you can use to build a beautiful house. 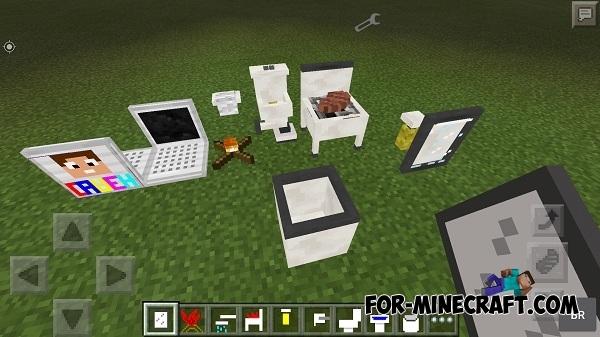 You can craft any furniture in the crafting table from one ground block, and also you can find all the items in the creative mode or using TMI. More than 15 new items and devices that perfectly complement the atmosphere and the interior of your home. Install the APK file "CauehCraft ... .apk"